Recently I have gone through the process of renewing my driving license from Rawalpindi Traffic Police office. 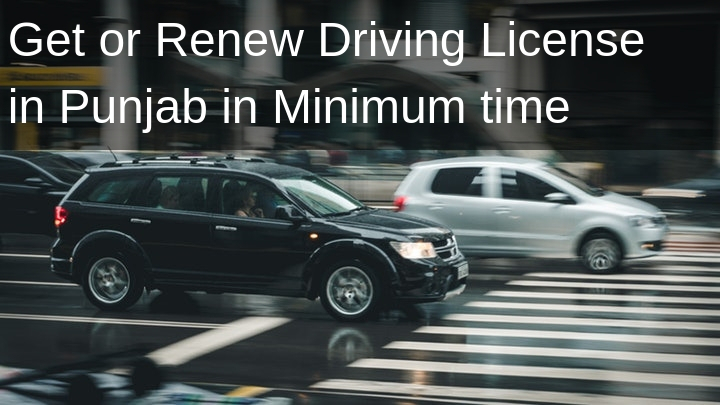 During the process, I took time and tried to figure out how can this process be followed in a way that in minimum time one can renew or get new license. One thing is important here, although I had gone through the process of getting my driving license renewed, however, in same queues there were people who were following exact same process to get new driving license. So basically, the process of renewing driving license is exactly same as process of getting new license, after the driving license test have been passed. Also, although I have followed the process in Rawalpindi Office, the process is exactly same in other cities of Punjab including Lahore, Faisalabad, Gujranwala, Sialkot, Jehlum and other cities. So these tips basically remain valid if you are getting new license or renewing your license from any city of Punjab Pakistan. I have in fact shot a video about this topic and published it on youtube, so let me first share the video with you here first and than I will also post the detail as text, if you prefer to read. In fact their are more than one videos, but lets tackle this one by one. So following video guides you on how you can save time while getting driving license from any traffic police office in any city of Punjab. So, the process of saving time while getting or renewing your driving license in Punjab Pakistan goes like following. Try not to bring your own car, there is normally too much rush and parking issues outside traffic police offices, as there are hundreds of people who will be busy getting their license, or renewing it. So better to use Uber, Careem or a Taxi while reaching to the traffic office. Reach real early in the morning like between 8 to 9 AM and never after the 9:30. As soon as the operational hours start, rush increases to too much, so if you are late, you will have to wait in long queues. So best time to reach is something like 8:30 AM. You need to bring “Two to three Passport Size Photographs” and few “Photocopies of you CNIC (ID Card)” with you. Also, if you are renewing, never forget to bring you old/expired driving license. Information Counter – Go straight to information counter and ask them how much postal tickets you will have to paste for new or renewal of driving license. They are different for new license and also for renewal of license they are different based on how much time have passed since your old driving license have expired. Forms Purchase – Now go straight to forms purchasing counter and purchase the forms for new license or renewal of license. Tickets Purchase – Now Buy the tickets from the tickets counter, if post office counter is not there inside traffic police office, skip this step for now, as next step is very important and urgent due to a reason I am going to reveal next. Medical Test / Form – From the forms file you have purchase on step 2 of the process, only fill the medical page of form, paste a photo on this form and run for the queue for medical. Do not worry about filling rest of form for now. As doctor who does medical normally leaves at 11 AM, so it is very important at the moment to get medical done as soon as possible. While you are in queue for medical, normally you get chance to sit on benches, so you can fill rest of form during this time. Medical test itself is not much intense, they just see you both arms and legs for any disability and also than then test your eyes by asking you to read letters on a far away board. If passed doctor will sign the medical page of form and will give it back to you, meanwhile, he will also charge Rs. 100 from you as medical fee. Run to forms submission counter before 11 AM – As at 11 AM sharp they close the forms submission counter, so its important to get all the forms filled, photos pasted. And submit them before 11 AM on forms submission counter. After 11 AM they only call everyone who have submitted form, to data entry counters. So if you failed to submit form before 11 AM, you will have to come next working day for rest of process. Its very recent development that Traffic Police offices have now started delivering the new or renewed driving licenses to home. As I was told that my driving license will be ready in 2 weeks, so I was waiting for two weeks to complete, so that I can go and pick my driving license, to my surprise, driving license came to my doorstep via courier. At this moment I realized that on data entry counter money charged was actually the courier fee. I actually have shot a youtube video about this driving license home delivery surprise, so if you are interested, you can watch below. Read the text above carefully and/or watch both videos above, you will understand how you can save lots of time and effort while you will be at any traffic police office in Punjab Pakistan for new driving license or its renewal. So, it is few minutes investment here to read through and to watch videos, will save you lots of valuable time at driving license office. Also share this post with your loved ones like family, friends or anyone interested in going traffic office, so their time is also saved. Also, than later on while I was analyzing the process in my thoughts at home, I figured that this process can be further optimized by traffic police authorities so that more time of people is saved. For example, everyone had to make payment on four places, like while buying forms, while buying tickets, for medical to doctor and than finally while getting data entered to data entry counter as courier fee. So, the point is why not convert all this to one payment via a deposit instead of paying on four places and specially instead of purchasing the postal tickets from Post Office. There were few more thoughts, so I also shot and published a video about this as well on youtube, which you can watch below. So, hope you have learned much about this process from this post and videos included into this. Do Like us on Facebook and follow on twitter from the options on right side of this page. Also, do share your thoughts and experiences in comments section below.